Could there have been strands of naturalism running through archaic civilizations such as Egypt and Mesopotamia? As in the cases of hunter-gatherers and early agricultural peoples, tempting evidence suggests it is possible, though unlikely. At the same time, there is good reason to believe these civilizations paved the way for the development of naturalism in later eras. Between roughly 3,000 and 1000 BCE, both Egypt and Mesopotamia developed flourishing urban centers with centralized government, stratified populations, and tools enabling extended reflection, such as writing. These changes are typical of archaic civilizations as widely-flung as those of India, China, and Mesoamerica. If naturalism did not emerge in Egypt and Mesopotamia, then the changes wrought by them laid crucial foundations for its emergence in the millennia to follow. Some might look at Egyptian and Mesopotamian nature religion and infer naturalism from it. Ancient Egyptian and Mesopotamian religion, like most nature religions, experienced the divine in and through nature. For example, the Egyptians hailed the sun as the barge of Ra sailing across the sky, and cats as divine in temples of Bast. Similarly, the wind was honored as the god Enlil by the Sumerians and as Marduk by the Babylonians. Given this, wouldn’t their religions be naturalistic by default? In fact, the answer is no. These things are evidence of nature religion, but not naturalism. The way we’re defining naturalism in this series is “the system of those who find all primary causes in nature” (Furst and Skrine, 1971). In other words, phenomena are explained not by theistic or magical causes, but by natural ones. Moreover, this definition lacks teeth until we assume a particular view of nature, which naturalism characterizes as behaving according to impersonal physical laws. If Egyptians or Mesopotamians were found to explain events by natural causes of this sort, that would constitute sound evidence for early naturalism. A variation on this point also needs to be addressed before moving on. Egyptian ritual has been described as more of an interaction between deities than with them, where participants identify with the gods rather than worship them (Assman, 2003). Meanwhile, the pharaoh of Egypt was revered as a god or son of the gods, and the kings of Mesopotamia were characterized as slaves of the gods (Bellah, 2011). Don’t these practices suggest the Egyptians saw their deities more as symbols or principles than independent beings? Wouldn’t that suggest naturalism? That Hornung is on the mark for the majority of Egyptian religion is hard to dispute. The importance of the afterlife and the practice of mummification, though perhaps more intertwined with the body than later Western dualism, clearly suggest a real belief in a reality beyond what we think of as physical nature. Still, isn’t it possible that Egyptian religious practices could have been interpreted naturalistically by some Egyptians? To validate that inference, we would need evidence that some Egyptians were flirting with naturalistic concepts. We turn now to a number of texts that might furnish that evidence. One of the most significant pieces of evidence for this sort of thought is an Egyptian medical treatise called the Edwin Smith Papyrus (ca. 1500 BCE). It is notable for its rational and empirical approach, making little reference to magic or deities. Other papyri of the time thoroughly intermix magical ideas, but the Edwin Smith papyrus does not, suggesting the possible development of a naturalistic school of medicine. On the other hand, the lack of magical explanations might be due to the subject matter. The papyrus describes the treatment of surface wounds, the causes of which would have been much more familiar and concrete to ancient peoples than, say, internal illnesses. Furthermore, even the Edwin Smith Papyrus includes several spells at the end, apparently usable as a last resort. Thus, it seems more reasonable to see the papyrus as continuous with traditional thought rather than as a radical new naturalistic school. For evidence of naturalism, we’ll have to look elsewhere. The contempt in this voice is scathing. The gods are either unwilling or unable to affect the world: they must be “asleep”, and they set confusion throughout the land. This could be interpreted as evidence for widespread doubt of traditional religious thought. For a sentiment which might be similar, we turn now to Mesopotamia. The friend conjures various replies reiterating traditional wisdom that piety does pay in the long run, but in the end the friend cannot sustain it. The sufferer gets the upper hand, and the text ends with the sufferer pleading to the gods that they may resume their protection. As in The Admonitions of Ipuwer, the note of doubt is tangible and severe. Something similar can be felt in another Mesopotamian text. The Epic of Gilgamesh, a Babylonian work developed from earlier Sumerian poems, portrays King Gilgamesh doubting the providential nature of the goddess Ishtar. He spurns her advances, and kills the Bull of Heaven which she sends in punishment. Indeed, the depiction of Ishtar almost feels satirical: a demanding deity who brings only burden. Though the poem depicts the gods as concretely real, its tone could represent an underlying movement of skepticism toward traditional religion, much as in the Admonitions of Ipuwer. Yet questioning one’s god is not incompatible with enduring belief. One can struggle with, and even hate, a deity without ever disbelieving in its existence. The Admonitions of Ipuwer, Babylonian Theodicy, and Epic of Gilgamesh can all be read as dark nights of the soul, an experience well-known among the faithful of various religions. The dark night is a time of struggle, questioning, and doubt, but it often reaffirms faith in the end. In the end, it seems more reasonable to interpret these texts as struggling within the bounds of traditional thought rather than breaking out of them. In any case, even if they were to represent skepticism toward deity, the implications for naturalism would be unclear. Naturalism is only one possible alternative to traditional thought; any number of others could have been adopted. In summary, there are a few tantalizing pieces of evidence for early naturalism. Nevertheless, they are generally weak and better explained in other ways. What is more persuasive, perhaps, is the laying of foundations necessary for the emergence of naturalism in later eras. In this series, we’ve seen again and again that doubt of deity does not equal naturalism. Yet, it is still significant to the history of naturalism. Doubt represents the potential for entertaining alternatives, creating soil for new worldviews to take root. The invention of literacy may have played a role in facilitating this process. The Sumerians and Egyptians created the first known systems of writing sometime around 3000 BCE, and this contributed greatly to the articulation of beliefs. What interests us here is not so much the genesis of doubt, which we’ve seen may have a much older history, but rather the new opportunities afforded by literacy. Off-loading some knowledge into the environment via clay tablets or papyrus enhanced the ability to reflect on, review, compare, and rearrange information. It became easier to develop as well as critique theologies and philosophies. Previously, we saw that a certain amount of doubt was likely for hunter-gatherers and early agriculturalists. Now, in Egypt and Mesopotamia we find our first hard evidence of ancient peoples struggling with their beliefs. It comes in the form of written texts such as The Admonitions of Ipuwer and The Epic of Gilgamesh. These texts may not have broken with tradition – in fact they may have strengthened it – but struggle is struggle. Where there are questions, there is the potential for alternative answers. Early doubters, facilitated by writing and represented by texts such as Ipuwer and Gilgamesh, may have tilled the ground for seeds not yet sown. Meanwhile, the ground was being prepared in another way, through the development of the idea of abstract law. A law-like order of nature? If naturalism involves a concept of nature characterized by impersonal physical laws, then the development of political law ought to be highly relevant. Egyptian religion is known for its concept of maat, or justice, and Mesopotamia is renowned for Hammurabi’s Code. These developments, typical of all archaic civilizations, may have paved the way for a concept of nature’s laws or abstract principles. In Egypt, law was the word of the pharaoh, inextricable from his person, yet the pharaoh was said to receive his words from the maat in his heart (Frankfort, 1975). 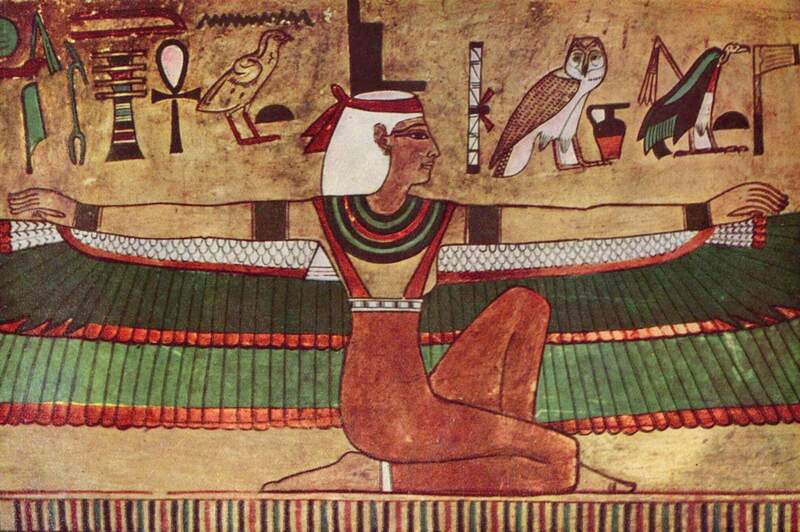 The Egyptian concept of maat encompasses the order of the cosmos, good government and justice, and true understanding of reality (Vogelin, 1956). This concept is personified as the goddess Maat, but with few myths about her. She appears more abstract and conceptual than other Egyptian deities. As a concept, maat might be loosely compared to similar ideas in other cultures, such as the Indian rta, Greek moira, or Norse wyrd. It was more than the whim of a personal deity, but not yet a cosmic order of abstract principle. Nature remained malleable, able to be manipulated by human desire via magic, and liable to falling into chaos if not properly maintained. Yet some part of this concept of maat may have reached toward a notion of law-like cosmic order. Meanwhile, governments in Mesopotamia moved toward something like true political law. We can begin with what popular wisdom deems the world’s first codified set of laws: Hammurabi’s Code. Jean Bottero (2001) argues that it is not really a code of laws in the abstract, but rather a summary of specific verdicts. Yet, even as such, it may have moved the culture in the direction of abstract law. It is not difficult to see how the development of a codified legal system, even one of verdicts, can plant the seed of abstract thought in a culture. Egyptian and Mesopotamian political developments may have laid a key foundation for naturalism: the concept of a law-like order. Insofar as it is even possible to specify an archaic Egyptian and Mesopotamian concept of nature, was it characterized by impersonal physical laws? We have seen that the Egyptian and Mesopotamian concept of nature was not impersonal but personal, thoroughly inhabited by divine personalities. It was probably not physical but dualistic, involving concepts of souls that survive the death of the body (though perhaps not as starkly separable from the body as later Western notions). Finally, it was not law-like but malleable, as demonstrated by the magic involved in Egyptian medical treatises including the Edwin Smith papyrus. In sum, the archaic concept of nature in these cultures was significantly different from that of naturalism. If there were any minorities that did embrace early naturalistic views, it is not clear from the evidence. What is clear is that Egyptians and Mesopotamians struggled with doubt, developed writing as a tool enabling extended critique of traditional religious concepts, and moved toward political concepts of abstract law. These things paved the way for the development of naturalism in the millennia to come. Assman, J. (2003). The Mind of Egypt: History and Meaning in the Time of the Pharaohs. Trans. Jenkins, A. Cambridge, MA: Harvard University Press. Bellah, R. N. (2011). Religion in Human Evolution: From the Paleolithic to the Axial Age. Cambridge: Belknap Press. Bottero, J. (2001). Religion in Ancient Mesopotamia. Chicago: University of Chicago Press. Frankfort, H. (1975). Ancient Egyptian religion: An Interpretation. Mineola, NY: Dover Publications. Goldman, S. (Sep. 27th, 2012). 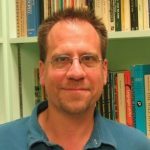 “The History of Atheism.” PHL 365U Guest Lecture. Lecture conducted at Portland State University, Portland, Oregon. Hornung, E. (1982). Conceptions of God in Ancient Egypt: The One and the Many. Ithaca: Cornell University Press. Lambert, W. G. (1960). Babylonian Wisdom Literature. Oxford: Oxford University Press. Vogelin, E. (1956). Order and History, Vol. 1: Israel and Revelation. Baton Rouge, LA: Louisiana State University.